2. 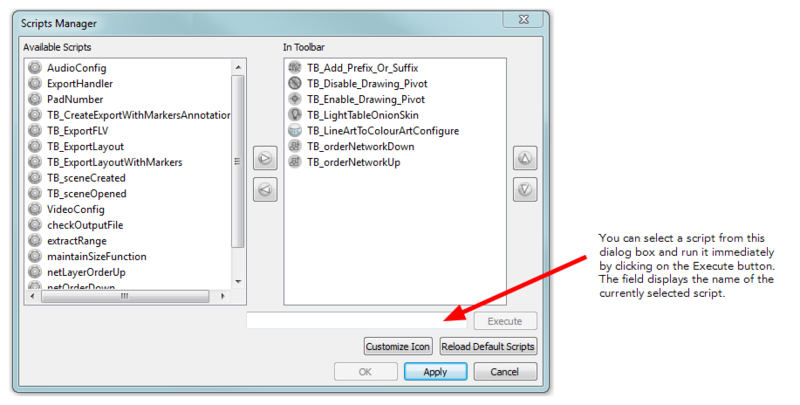 In the Available Scripts list, select the script you want to link to a toolbar button. 3. Click on the Right Arrow button to add the function to the In Toolbar list—see Toolbar Manager. 4. Click on OK to add the button and close the dialog box.